You have seen the black and white version, now how about some burst of color? This Yellow-Gray Erzullie Resort 2014 Penguin Top is a great way to embrace the fun and fierce of summer styles. Check out the 3 ways to wear it! Doing your errands in style? Pair your trendy Erzullie Resort 2014 Penguin Top with another solid and minimalist bottom (in this case, we partnered it with the Erzullie Holiday 2011 bermuda pants). Go for flow contrasts in lieu of texture. 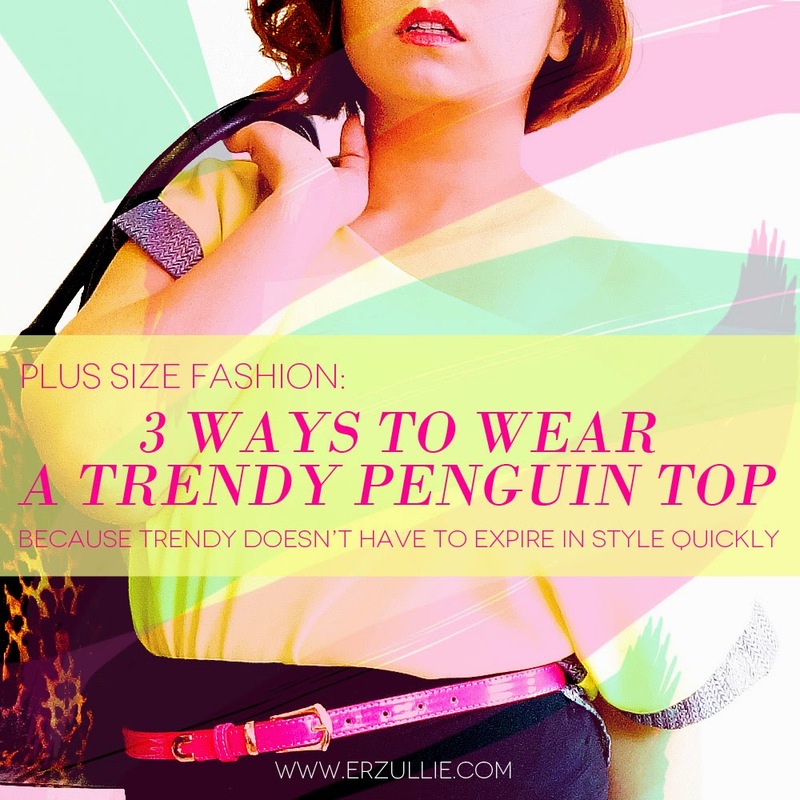 The Erzullie Resort 2014 Penguin top is, in a way a loose top but the fabric is more of a constructive type. 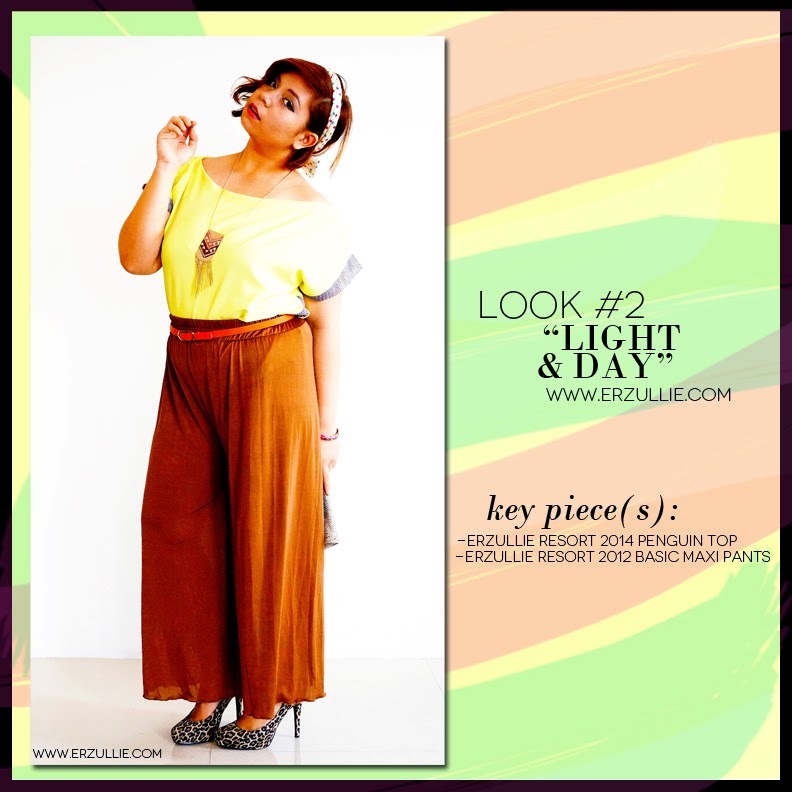 Pair it with something loose and flowy like the Erzullie Resort 2012 Basic Maxi pants. This will create both comfort and sway in your style. Something that we think, Erzulliestas, will definitely be delighted with. Go all out with the colors and ground it all up with a solid pencil skirt. In this case, we paired the Erzullie Resort 2014 Penguin Top with the Holiday 2011 girdle skirt.